We are enjoying fresh vegetables from our garden, especially the tomatoes. But we have a disagreement about whether or not they are actually healthier than store-bought fresh or even canned tomatoes. We each think we’ve read information that contradicts the other. Who’s right? You’re both right, depending on a few factors. There are few things better than biting into a fully ripe, meaty, juicy tomato fresh-picked from the garden. And as long as it doesn’t sit around on the kitchen counter very long, you will get the peak amount of nutrition that the tomato has to offer. Homegrown vegetables have two things going in their favor over store-bought: They have a longer time on the vine, and they have a shorter time in storage and, of course, transport. Tomatoes sold at the grocery store are usually picked before they’re completely ripe so they can withstand the rigors of being boxed up and transported across the state, the country or even the ocean. Before they’re sold, they’re ripened artificially with ethylene, a gas that plants actually produce naturally. But that results in a ripeness that’s not quite the same as when you pick that love apple off the vine yourself at peak maturity. That’s when fruits and vegetables typically have the most vitamins, minerals and other nutrients. To retain the most nutrients, store your fresh produce properly. While 55 degrees F is the optimal storage temperature for tomatoes, room temperature will do, and keep them out of direct sunlight. Proper storage helps slow the respiration process. After being picked, produce continues to “breathe,” or respire, breaking down carbohydrates to use as energy and resulting in the loss of flavor and nutrients. Some types of produce, such as asparagus, broccoli, mushrooms, peas and sweet corn, have higher respiration rates than others and are more perishable. Others, such as apples, garlic, grapes, onions and potatoes, have low respiration rates, allowing them to be stored for a longer time and still retain their quality. Tomatoes are in between, classified with carrots, peaches, pears, lettuce and peppers as having a moderate respiration rate. When produce is commercially canned or frozen, it is processed immediately after harvest to take advantage of the product’s peak ripeness and to lock in as many nutrients as possible. The product is then stored in a way to protect it from heat, light and oxygen, all of which naturally destroy nutrients. So, compared with “fresh” produce that may have been picked before it was fully ripe and spent days or weeks in less-than-optimal storage or transport conditions, canned and frozen versions often retain more of the original nutrients. Canned tomatoes also provide another benefit: A phytonutrient in tomatoes, lycopene, is absorbed more readily by the body from processed tomatoes than fresh. 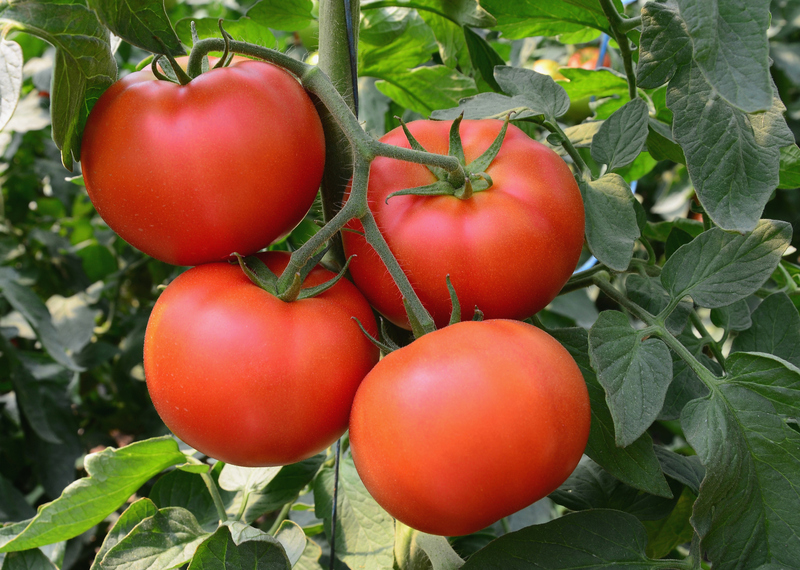 Lycopene has been associated with a lower risk of prostate cancer. So, in that way, canned tomatoes are more beneficial than fresh. For more about nutrients in tomatoes and other produce, see go.osu.edu/frshtoms. Editor: This column was reviewed by Irene Hatsu, food security specialist for Ohio State University Extension.